The ISMS Placement Cell has been constituted specially to strengthen the industry-institution linkage and is very unique in its operations. It provides placement assistance and support services to the students. It also includes counseling for the students in area of academics, careers, jobs, further studies, extra and co-curricular activities, sports, games, fests, Industry-Interface activities etc., to bring out the best talent from the students. Placement record has seen a very sharp increase in the past five years. ISMS takes students through a well-structured placement process to ensure that they are employed in best-in- class companies. As soon as students enroll and start attending the first semester classes, the management does a skill assessment of all the students and takes measures to enhance their skill sets. ISMS provides training in areas of communication skills, presentation skills and project management. In the second semester, the management does a reassessment of the skills of the students and provides need-based training. 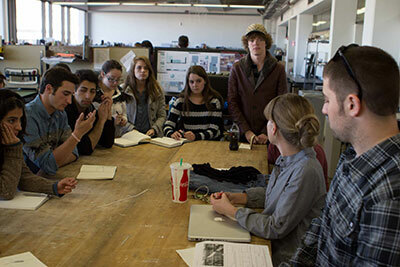 In the third semester, students are given special training based on areas of interest. Pre-placement workshops and induction of interview specific skills are also provided in this semester. During the entire placement process, the management of ISMS ensures that every small detail in regard to personality development, academic progress and practical learning is take care of. By the time students reach the fourth semester, they would be fully ready for the campus interview and placement. Hence, all students are placed in good companies with hefty pay packages.